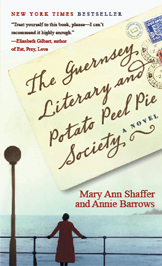 Guernsey author Annie Barrows has written a guest blog for ReadingGroupGuides.com about “literary meandering”, the path that leads us from one book to another. Check it out here, and let us know what you think! What was the sequence of books that brought you to Guernsey?